While the majority of Australian women are self-assured and well-educated, the same can’t be said for many women in east Africa. 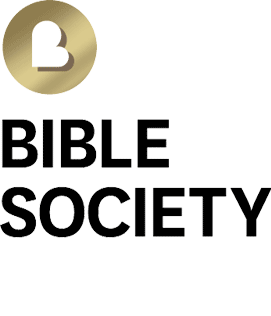 To coincide with International Women’s Day 2018, Bible Society Australia is launching an eight-week Bible-based literacy Appeal to help needy women in Malawi, Ethiopia, Kenya, and Tanzania. The aim of this eight-week appeal is to equip 20,000 women with literacy skills by the end of 2020 while also building the capacity of the four local Bible Societies to run and grow these projects. Why are we supporting these women? Illiterate women in minority African communities are often disadvantaged twice over. First because they are females and second because they are from ethnic minorities. Not being able to read means they struggle with everyday things like reading a label, writing their names or even catching a bus. Many have a low opinion of themselves as women which is far removed from how God sees them. Bible-based literacy programs serve a purpose because up to 51% of women across east African are illiterate, with Ethiopia and Tanzania among the worst affected. We want to help give them hope, dignity and opportunity. $40 will help build a woman of faith, confidence and influence through Bible-based literacy. $78 provides a teacher for a literacy class in a minority African community. $120 will print New Readers and reading material for eight women in a literacy class. Decreases the likelihood of suffering genital mutilation, being married without consent, and domestic violence. Encourages and empowers them to see their children become literate. The programme is aimed at women of child-bearing age and teenaged girls because studies show this approach has the most benefit for families. When women become literate, they take an interest in their children’s education and are unlikely to be left behind. 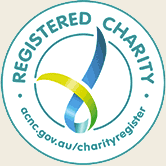 Bible Society Australia isn’t doing this alone. We’re collaborating with the Bible Societies of Malawi, Ethiopia, Kenya, and Tanzania as well as local churches and NGOs to help ensure as many women as possible are helped. We’re asking our generous donors to give African women the gift of literacy, so they can see their worth in God’s eyes and realise their full potential.